SUBWAY®, the world's largest submarine sandwich chain, currently has over 40,000 locations in more than 100 countries. This company, founded in 1965 from humble beginnings, is now one of the most recognized brands in the industry. However, SUBWAY® stays true to the core values and principles that have contributed to their success over the years. Providing outstanding service, quality menu items, and continually trying to improve are just a few of the several values that this chain still applies today. 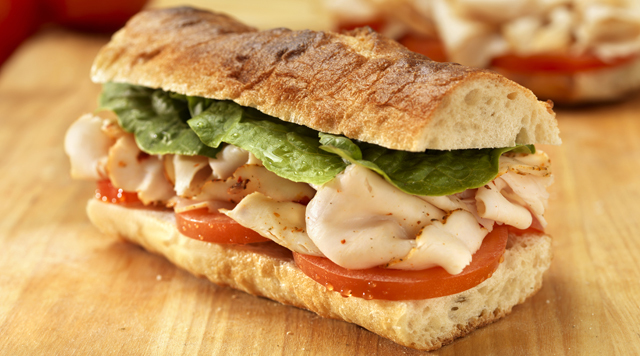 SUBWAY® offers a variety of breads, cheeses, veggies, and spices to choose from. In addition to delicious sandwiches, SUBWAY® also offers several different salad and beverage choices. Get 50% more meat by making your sandwich Deluxe! Fountain Drinks - 21 oz. Fountain Drink - 30 oz. Fountain Drink - 40 oz.